Have you thought about adding a retaining wall to your commercial property? Have you thought about adding a retaining wall to your commercial property? After all, they have plenty of benefits. Perhaps the wet weather in Maryland has been giving you fits, or you have noticed that your landscape is falling victim to soil erosion. In either case, a retaining wall can help reduce these problems. 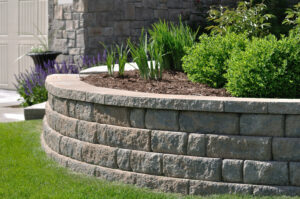 Let’s learn more about why retaining walls are so wonderful. Commercial properties and residential landscapes alike both tend to have slopes. However, sloped landscapes may look pretty but cannot root and anchor any plantings for too long. Overexposure to sunlight may not be as much of a problem during these gray winter days, but the howling winds do present a problem. A retaining wall can protect against these environmental hazards and divert the soil and water runoff to help create a vertical planting landscape instead of a horizontal one. Attracting attention: If your business is in a busy shopping center, you can use a retaining wall to draw the eye of customers. By using slopes and retaining walls together, you can also create a sense of privacy for your customers to let them shop or dine in peace without ambient noise from your surroundings disturbing them. Generating more usable space: Maybe you want a terrace or patio to display more items, or you would like an outdoor living area around your outdoor kitchen? 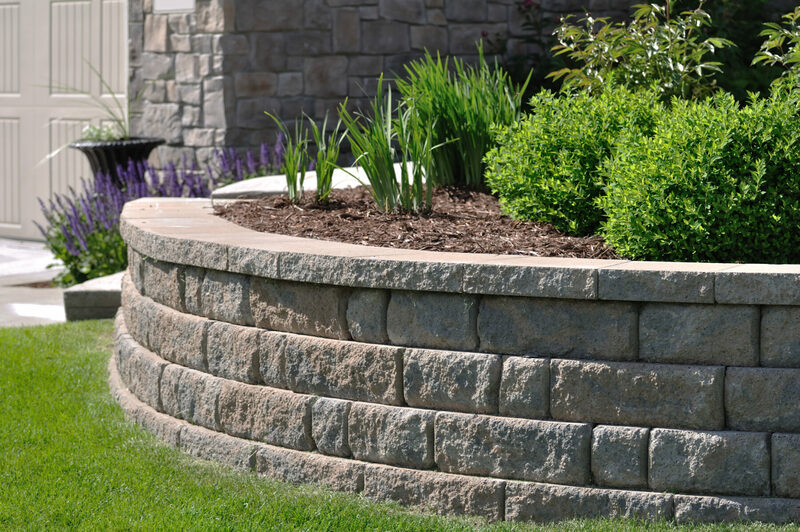 By installing a retaining wall, you can increase accessibility, safety, and comfort all at once. Enhancing the surrounding area: Retaining walls can also prevent water from running off our roads and landscapes down into the sewers, ponds, and lakes hat are all around us. If the slopes are high enough, the rain can create unexpected waterfalls that can block traffic and affect pedestrians and nearby storefronts as well. This entry was posted on Friday, February 2nd, 2018	at 2:29 am	and is filed under Retaining Walls	. You can follow any responses to this entry through the RSS 2.0	feed. Both comments and pings are currently closed.